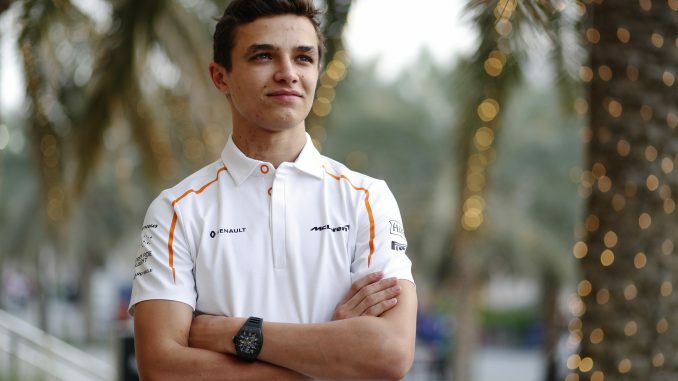 Lando Norris has revealed he’s hoping to be in the running for a Formula 1 race seat at McLaren next year. 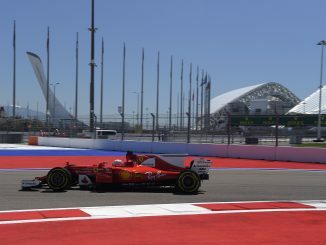 The team’s reserve driver is currently leading the F2 championship, having won the season-opening feature race in Bahrain before finishing fourth in the sprint. The 18-year-old took over the reserve role from Jenson Button after winning the European Formula 3 Championship last year, as well as impressing during the Hungary test, with his performance at that event arguably overshadowing Robert Kubica’s return to an F1 car. Norris’s meteoric rise through the ranks has seen him linked with a spot in F1 in 2019 should Fernando Alonso or Stoffel Vandoorne not return next year. In an interview with Autosport, the British driver admitted it would be nice to give McLaren a selection headache and that he’s pleased to be linked with the role as it suggests the team is already thinking about what position he could be in next year. 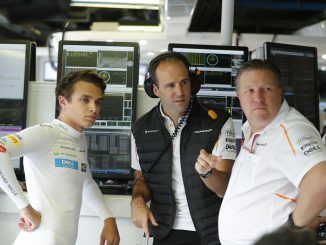 However, he believes the team is currently happy with Alonso and Vandoorne, as their experience is more useful for car development. Since making his single-seater debut in 2015, Norris has won a championship each year. If he goes on to claim the F2 title, he won’t be able to return to the series next year. Three of the last four champions from the feeder series – Pierre Gasly, Vandoorne and Jolyon Palmer – all had to wait for their opportunities in F1 after winning the title. It’s not beyond comprehension that McLaren could be looking for two new drivers in 2019. Alonso has another year on his contract after this season, but has admitted he wants to race in other series. He could win the World Endurance Championship with Toyota next year, with the 2018-19 season running until Le Mans 2019. If he’s in a strong position in the championship, he may choose to focus on that instead of returning to F1, as well as considering another shot at the Indy 500. While Alonso could walk away, Vandoorne may need to show some improvements to remain at McLaren next year. He’s been off the pace shown by Alonso in the first few races of 2018, leaving him 11th in the current standings, while his teammate sits 6th. 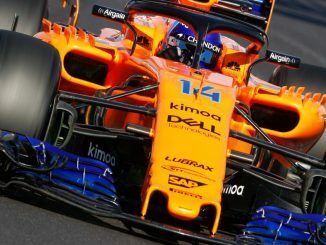 If Alonso does move on, McLaren may consider a more experienced F1 driver than Norris, particularly as the likes of Daniel Ricciardo and Valtteri Bottas are out of contract this year, but they won’t want to wait too long and risk a rival offering Norris a seat elsewhere on the grid if he continues to impress in F2.